Obsah fóra » Ostatné » Bazár » Predám » P: Minecraft Windows 10 ed. 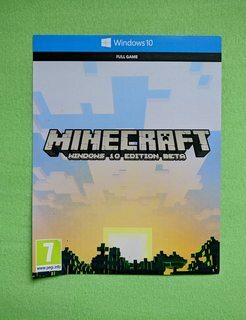 P: Minecraft Windows 10 ed. Napísal kllr007: 01.04.2018 11:16 | P: Minecraft Windows 10 ed. Napísal autor témy kllr007: 22.04.2018 16:05 | P: Minecraft Windows 10 ed. Pada mi windows home ed. P: Xiaomi Piston 2 Brown ed. Taktovanie na Phenom II x4 965Black ed. P: i3-3220 + sapphire 7770 ghz ed.